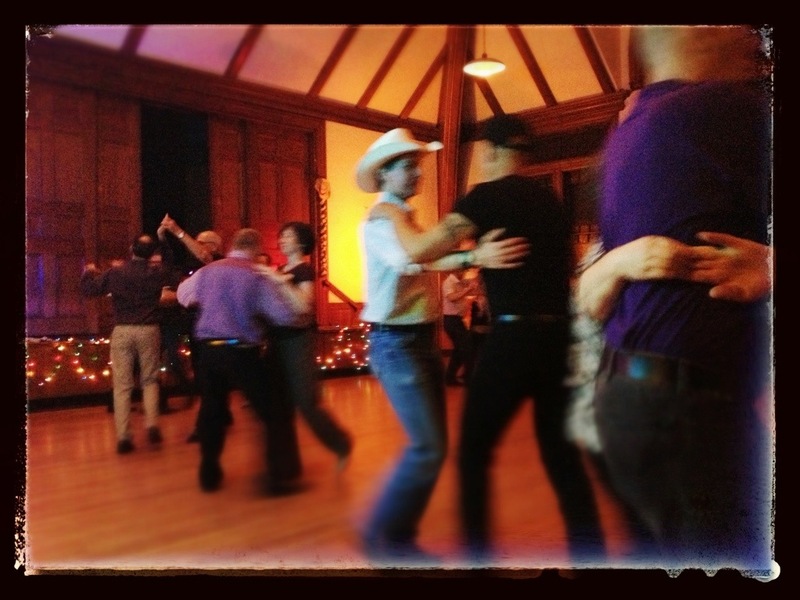 Come dance along Boston pride march with Gays For Patsy, Contra dancers, and queer tango. Meet Saturday, June 8, by 11 am in Copley Square by the red truck in front of 745 Boylston Street, Boston, MA. We’ll be doing line dances, contra, two step, and tango while we wait for the parade to start, then we’ll dance our way along the route. Happy Pride, Y’all. If you’ve never done it before, please join us: it is exhilarating (and a bit exhausting). Sneakers, or really comfy cowboy boots, recommended. And here’s a couple photos from last night’s dance. What a great turn out for a rainy evening. Even had a guy here from San Francisco! (Well, to be honest, he was meeting a friend and came to check us out). And the Renegaydes performance was fabulous. The Renegaydes strike a pose during a performance at the Gays for Patsy queer country social dance, June 7, 2013. Thanks to Art for teaching the two step lesson and the line dance. And it was fun taking over JP Licks after the dance (I was psyched to see that JP licks has candied ginger as a special flavor).